To circumvent the 15th amendment to the U.S. Constitution, which guaranteed voting rights to black men, the 1901–2 Virginia Constitutional Convention required voters to prove their understanding of the state constitution and imposed a poll tax of $1.50 to be paid annually by registered voters. New voters had to pay $4.50, a large sum of money in those days. The Democratic majority in the General Assembly appointed all election registrars. As intended, these measures reduced voting by poor whites and Republicans, and within 90 days more than 125,000 of the 147,000 black voters in the state had been stricken from the rolls. Literacy tests—such as Virginia's requiring a "reasonable explanation" of any part of the state constitution—disappeared when the Civil Rights Act of 1964 stipulated that anyone with a sixth-grade education was presumed literate. The 24th amendment, ratified in 1964, outlawed poll taxes in federal elections. In 1966 the U.S. Supreme Court banned it in all elections. Events such as "Bloody Sunday" in Selma, Alabama, persuaded President Lyndon Johnson to propose a Voting Rights Act, which he signed into law on August 6, 1965. It authorized federal supervision of voter registration wherever fewer than half of eligible voters were registered, which included virtually all of the South. 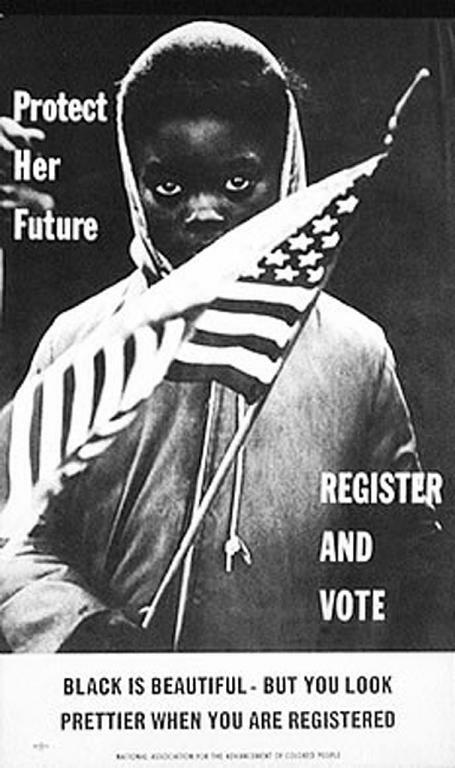 These efforts, supplemented by black freedom schools, registration drives, and voter rallies, tripled the number of black voters by 1968, and the number continued to grow thereafter. The results were almost immediate. In 1967 Dr. William F. Reid became the first African American delegate in the General Assembly in 82 years. Virginia's first black mayor was Hermanze E. Fauntleroy, Jr., became mayor of Petersburg in 1973. Lawrence Davies and Noel Taylor were elected mayors in Fredericksburg and Roanoke, respectively, in 1976. By 1977, the majority of Richmond's city council members were black. By 1985 there were seven black members of the General Assembly. And in 1989, L. Douglas Wilder became the first black governor elected in any state, with black voters providing his margin of victory. In 1992 Robert Cortez "Bobby" Scott became the first black congressman elected from Virginia since 1888. Newly enfranchised blacks overwhelmingly voted Democratic, believing that party to be more responsive to their various demands. In Virginia, the influx of black voters moved the Democratic Party well to the left of where it had been throughout most of the 20th century. This development, coupled with opposition to school busing and affirmative action in hiring, moved many former white Democrats into the Republican Party, which moved to the right of where it had previously been.